Scotland is renowned for producing some of the best food in the world against a backdrop of rolling hills, craggy coastlines and buzzing, historic cities. This makes it the ideal holiday destination for those with an interest in cooking fantastic produce or for anyone who simply loves eating out at amazing restaurants. 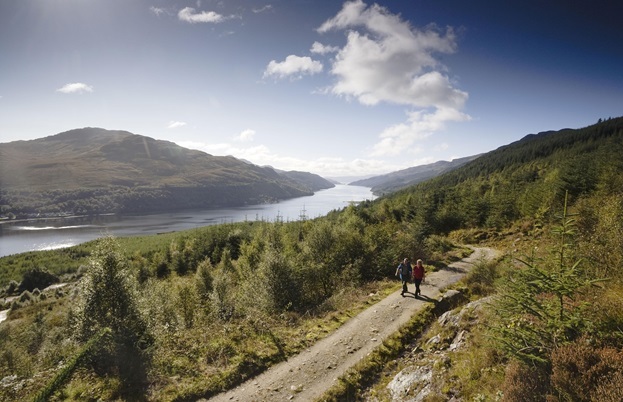 With 2015 being Scotland's Year of Food & Drink and as it is really easy to get to from pretty much anywhere in the UK, there's never been a better time to visit the country and explore what's on offer. Everyone knows about the fantastic whisky and smoked salmon producers dotted all over Scotland, but dig a little deeper and you'll discover the wealth of seasonal ingredients ready for the taking. Taste plump raspberries bursting with flavour, browse the farmers' markets for wild chanterelles picked that very morning, or head to the coast and try kombu, dulse or sea kale – just a few of the edible seaweeds harvested from the shoreline. It's ingredients like these that Scotland's top chefs use to create stunning dishes in the country's 16 Michelin-star restaurants, and why so many people flock to the food festivals and events that take place every year. No matter what time of year you visit – be it in the height of summer when game is plentiful, or the middle of winter when haggis and hearty pies are the order of the day – there's something delicious to be discovered. Everyone's heard of Aberdeen Angus beef, and with good reason; Scotch beef (and indeed lamb) is so highly regarded it's been awarded Protected Geographical Indication (PGI) status by the EU. Add that to the other protected foods such as Stornoway Black Pudding, Orkney Island Cheddar and Scottish salmon, and you've got a larder worth shouting about. Wild food is a big deal in Scotland, too, with red, sika, fallow and roe deer roaming the countryside. Grouse also has to be tasted when the season opens in August. For those with a sweet tooth, the country’s berries are some of the best in Britain. For something different, try the tayberry; first bred in Dundee, they're a cross between a raspberry and a blackberry with a delicious, tart flavour. 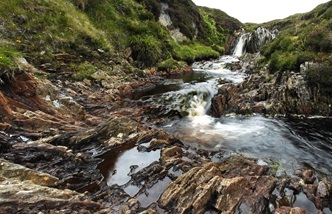 Scotland's natural larder is world class, including the many winding rivers, stunning lochs and rugged coastlines that make up the country's rich landscape. For fish, look no further than wild salmon and trout. The salmon's deep red colour and complex flavour – thanks to its varied diet – and the vast number of trout species populating Scottish waters make them the envy of chefs across the globe. If you're more of a shellfish fan, then the hand-dived scallops caught off the coast of Mull and Orkney have to be seen (and tasted!) to be believed. Sweet, delicate and meaty, they're not only full of flavour, but thanks to the tides and temperature of the Atlantic ocean, Scottish scallops are much bigger than those from the rest of the UK. Razor clams (or 'spoots', if you're a local) are an absolute treat, too, while lobsters, crabs and langoustines are caught daily and sent to nearby seaside restaurants, such as Phil Carnegie's stunning Inverlochy Castle or Argyll's fantastic Loch Fyne Oyster Bar. Fresh fish is a major part of Scotland's food scene, but the country’s smokehouses are just as important. The finest salmon and trout fillets are cold-smoked using beechwood from local forests and chippings from old whisky barrels, while smokeries in the Outer Hebrides make the most of nearby peat reserves. 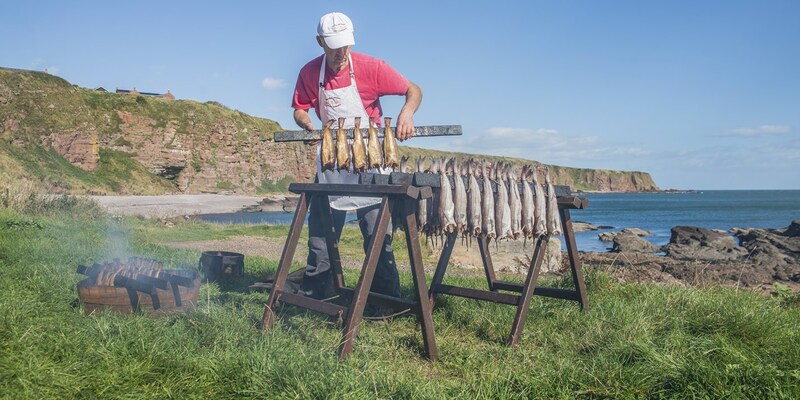 For people who like a really smoky flavour, Arbroath Smokies, Finnan Haddie and kippers are a must for an authentic Scottish breakfast – best enjoyed while watching the sun rise over the breathtaking hills, lochs and mountains. 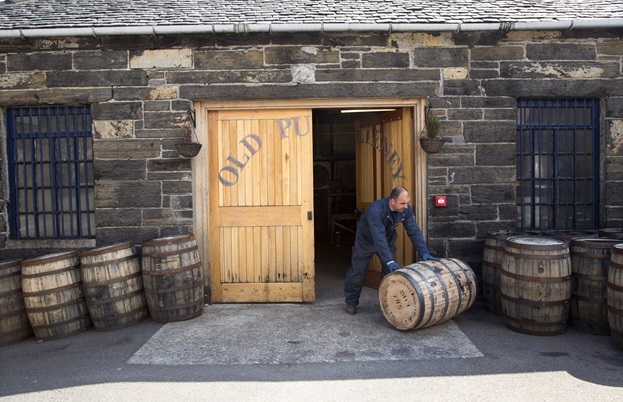 You can't go to Scotland without sampling the whisky, and the five different regions (Lowlands, Islay, Speyside, Campbeltown and Highland) all produce their own unique flavour – learn more about the individual distilleries here. For easy to access tours, Auchentoshan near Glasgow and Glenkinchie outside Edinburgh are a short drive away, but passionate whisky fans should make the trip to Islay. With eight distilleries on one small island, you'll certainly get the chance to try a dram or two! Artisan gin is another spirit making waves in the country, with names like Caorunn, Hendrick's and Edinburgh Gin (where you can take a tour and even create your own bottle of gin) lining the shelves of the world's best bars. But it's not just spirits Scotland does well; craft breweries are pushing the boundaries and winning award after award for their innovative styles. Keep an eye out for BrewDog, Innis & Gunn and Harviestoun on tap in bars and pubs throughout the country for a pint to remember. Gleneagles Hotel & Resort is one of the best in the world, let alone Scotland, and Andrew is head of its double Michelin-star restaurant – the only one in the country. He's been at the helm since 2001, returning home to his native Perthshire after a stint in the finest Parisian kitchens. He earned his two stars by combining his experience with the best ingredients money can buy from the surrounding area. Scotland's youngest ever Michelin-star chef proprietor has already released two successful cookbooks, but it's in the kitchen of his restaurant where Tom's talent really shines. Growing up in Edinburgh meant Tom was able to befriend many of the city's top food suppliers, so he knows exactly where to get the finest meat, fish and vegetables for his award-winning cuisine. As a born and bred Invernessian, Michael grew up surrounded by the produce he now works with in his Michelin-star restaurant. He couldn't pass up the opportunity to work at The Three Chimneys thanks to its stunning location, surrounded by the beautiful, craggy coastlines of Skye. Michael's food is an homage to these unpredictable and wild surroundings, making the most of what's available from day to day, turning local ingredients into traditional dishes with a modern twist. Unlike a lot of the chefs making waves in Scotland, Marcello didn't grow up in the country. Originally from Brazil, he was given the chance to run Kinloch Lodge after being headhunted by the restaurant's previous chef in 2008. A Michelin star soon followed, thanks to Marcello's ability to turn the seafood, meat and vegetables of the island into dishes that pay homage to local specialities, while simultaneously fulfilling the public's demand for refined, inspired cuisine. By presenting beautiful, inventive dishes that let the ingredients speak for themselves, Martin has gained a Michelin star for both his eponymous Edinburgh restaurant and at Martin Wishart Loch Lomond, outside Glasgow. It's the Scottish coastline that gets him really excited – shellfish, salmon and monkfish regularly appear on his menus – and his innovative style means he can plate up traditional dishes in new and exciting ways. With a fiery passion for Scottish ingredients, Glasgow-born Mark's flair for combining modernist techniques and traditional regional dishes has put his 3 AA Rosette restaurant on the map. As a chef who has a new favourite ingredient every week, let alone month, his passion for using seasonal food is undeniable; Mark says he spends 80% of the time sourcing local ingredients and 20% of the time cooking them. - Visit Scotland's passionate cheesemakers on the Scottish Cheese Trail, including Connage Highland Dairy, where you can taste its delicious, silky Crowdie, or take a more hands-on approach and discover how cheese is made in the viewing gallery at St Andrew’s Farmhouse Cheese Company, then sign up for a cheesemaking course at West Highland Dairy. 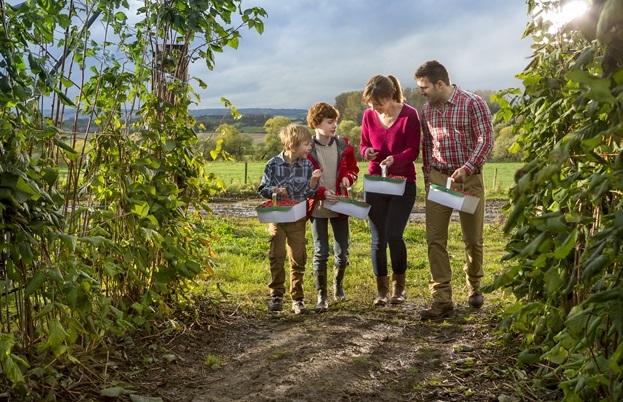 - Seek out over 70 small, artisan chocolatiers combining the finest cocoa with Scottish ingredients on the Chocolate Trail, including Ian Burnett in Perthshire – winner of the 2014 Great British Salted Chocolate Challenge. 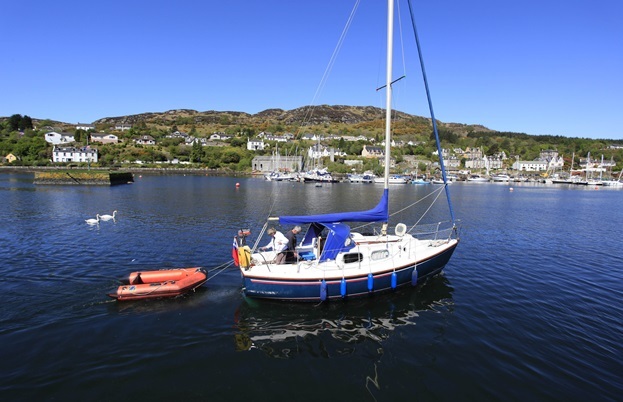 - Combine breathtaking scenery with the freshest shellfish on the Seafood Trail, which takes you on a tour of the country’s finest restaurants along the coastline and gives you the chance to see the catch of the day landed by local fishermen first hand. - The Islay Festival of Music and Malt takes place at the end of May and celebrates the culture of the Inner Hebridean Island, famous for its whisky. Every one of the eight distilleries is open to the public and there’s plenty to get involved with for both adults and children. - The Royal Highland Show takes place in June and is one of the biggest events in Scotland, with over 180,000 visitors attending the four day farming and country living extravaganza. As well as showcasing all of Scotland’s fantastic food and drink, the Edinburgh-based event features show jumping competitions, demo kitchens and livestock exhibitions.